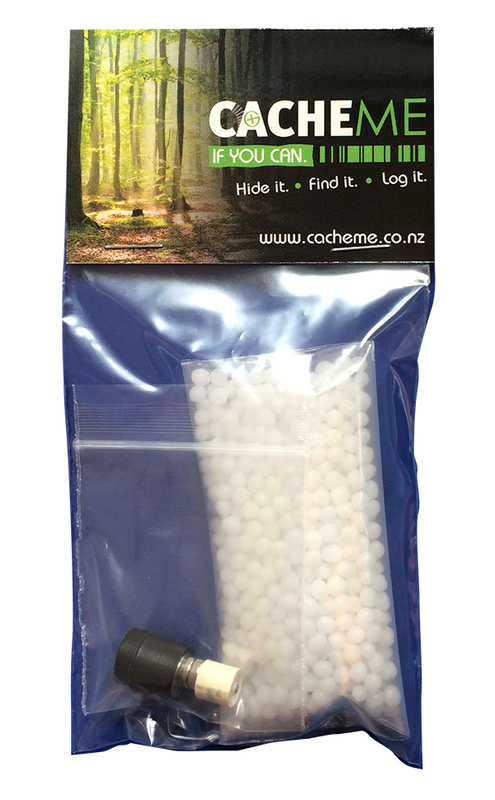 Here's a great little pack that gives you everything to make your very own custom made chewing gum cache. The cache is made using a very cool non toxic thermoplastic which is simple to use and mold to your requirements. - Place Thermoplastic beads into a heatproof container and add hot water (over 65 degrees C). - Once beads become transparent they are ready to use. - Using a spoon or similar, remove the beads from the hot water and knead into a single piece of material. - break off a small piece and flatten out roughly to required size. - While the first layer is still moldable, use the remainder thermoplastic and place over the top of magnets, first piece of thermoplastic and cache. Mold to the desired shape. - Leave the product until the plastic has turned white again indicating that it is complete. - The thermoplastic sets to a very hard, plastic finish that will last indefinitely. - Not happy with your first attempt? No problems, place the thermoplastic back into hot water, wait till it becomes clear and start again.